Product prices and availability are accurate as of 2019-04-16 23:03:36 UTC and are subject to change. Any price and availability information displayed on http://www.amazon.com/ at the time of purchase will apply to the purchase of this product. 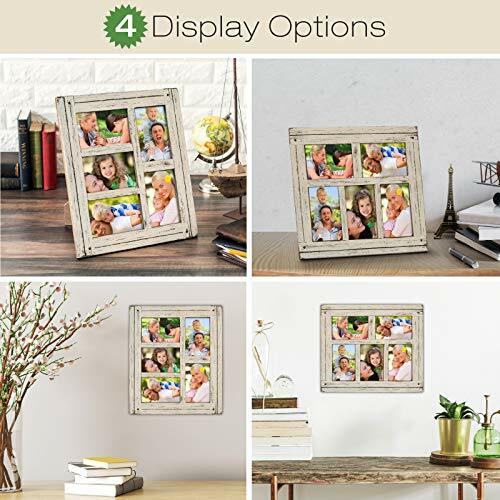 Collage picture frames are perfect to display multiple pictures at one time. You can inlcude multiple pictures in this item. It holds Holds 5 picture sized 4"x6". Overall dimensions are 15x13. 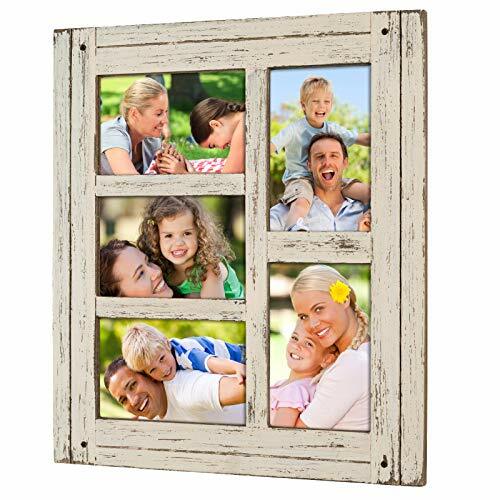 This picture frame collage has a rustic, barnwood, distressed look which it perfect for a beach house or farmhouse. 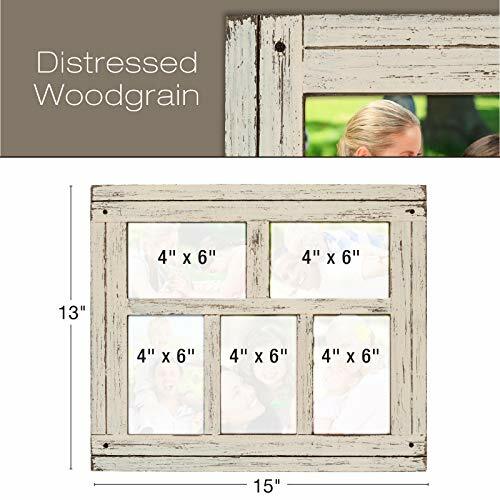 SHABBY CHIC DESIGN: This Hand Painted Rustic Barn Wood Collage Picture Frame is perfect for a home with Farmhouse or Beach House decor. DISTRESSED WOODEN COLLAGE FRAME: Holds five 4"x6" picture. Overall dimensions are 13x15. This Weathered Reclaimed Wood picture frame collage is a great gift for any home. 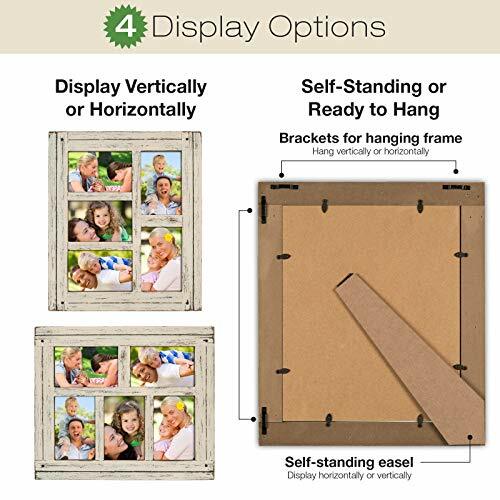 READY TO HANG: Includes built-in hooks to easily hang your Family Picture Frame or Display on a counter top with the built-in easel. EASY OPEN BACKING Makes inserting pictures easy. Each Picture Frames Collage is well packed to protect the product in transit. GUARANTEED QUALITY: Ships and Services by Amazon with Prime available A-Z money back guarantee. High quality heavy-duty and BUILT TO LAST! Made by Excello Global Products. We are a family owned USA company and we have been making quality products for over 50 years.